Elephants are the largest land mammals in the world. Their only predators are humans. Elephants are gentle animals unless the need to protect themselves forces them not to be. Unfortunately, the acts of humans have taken a toll on these intelligent and social animals. Over the years, poaching for ivory, capturing for zoos and circuses, human destruction of the environment (including elephant habitat) and a practice called culling--where humans kill elephants because of lack of habitat and elephant intrusion on what humans consider their land--have led to the detriment of elephant society. Elephants live in large groups, separated by male and female. The males and females only come together for mating and short social interactions. Females stay together in a group for their whole lives and raise their young together. The female group is led by a matriarch, who is the oldest female in the group. She uses her long life experience to guide the group out of dangerous situations, lead them to forage and to teach them child rearing techniques. When a male reaches maturity at around 12 years old, he leaves the female group and goes to live with the males. Male groups do not have a leader in the same way that female groups do. Older and stronger males may be dominant members of the group, but they are not leaders. Male elephants may change their group living situation throughout their lives. They may live alone, with only one other elephant, or in large groups. Older elephants in a group teach younger elephants manners and life skills. 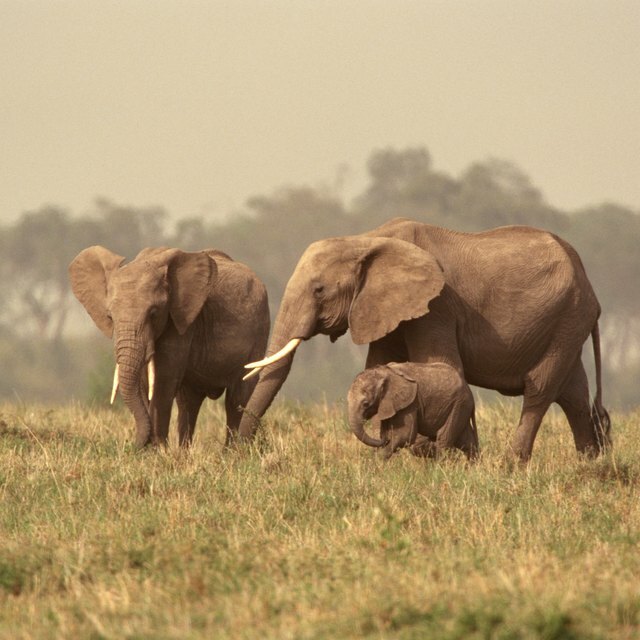 Elephants communicate through calls and rumbles that can be heard up to 5 miles away. Each elephant has a distinct voice that other elephants can differentiate from one another. Groups of elephants that live in the same home range often communicate from a distance and socialize when they come across each other. Elephants never abandon each other. If an elephant is injured, the other elephants try to assist the elephant, even if it puts them in danger to stay and help. If an elephant has to move slowly because of injury or old age, the other elephants in the group will move slowly with it. If an elephant dies, the whole group mourns the death. Elephants spend a large portion of the day foraging for food and water to satisfy their humongous appetites. They are clean animals and bathe every day. Elephants only sleep 4 to 5 hours a day. Throughout the day, elephants socialize and play. They show each other affection by caressing each other with their trunks. Bath time often doubly serves as playtime. Water is squirted on each other, and the young jump on each other playfully. Human activities have not only reduced the elephant population, they have harmed elephants socially. Poaching, capturing and the practice of culling have mentally harmed elephants in the wild. 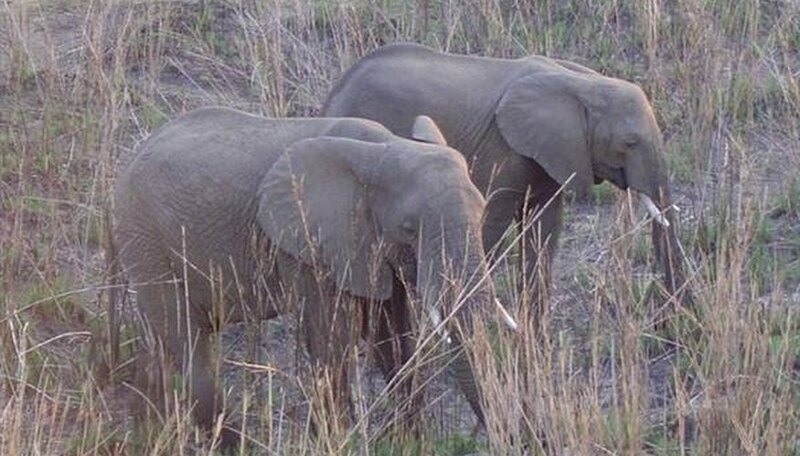 Young elephants have seen family members being killed. Many of the older elephants have been killed, which has left the younger elephants to grow up without the guidance from their older teachers. Areas where elephants live in the wild have reported a backlash from the elephants. Elephants are fighting back and attacking villages. Some scientists and animal researchers believe this elephant behavior stems from two factors: The elephants are angry about seeing their loved ones murdered, and they have not learned to control their temper--something they would normally learn from the older members in the group. Kivi, Rose. "How Do Elephants Behave?" Sciencing, https://sciencing.com/elephants-behave-4567810.html. 24 April 2017.